This blog post is about why you should consider buying a property in the small West Coast town, Velddrif. This is my opinion, and I may be bias, as I have been living in a radius of 250km from this town, since my primary school days. Nevertheless, I will try my best to keep this post facts related, and not opinionated...which may be a topic for another post. The experts say that relocating and bereaving the death of a loved one is the two most difficult things in life to experience. That said, deciding on a new town to live, is a very important decision. When you have tasted the lifestyle of Velddrif, this decision will be made easily. 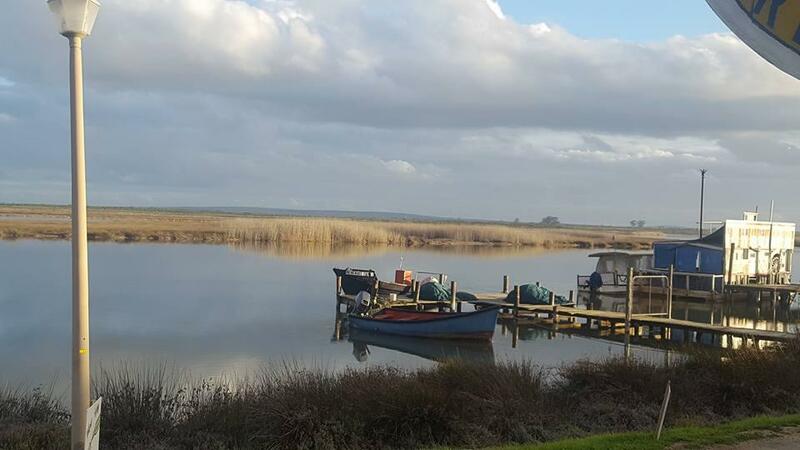 A lifestyle in Velddrif may open possibilities for activities such as fishing, canoeing, bird watching, ski and many other water sports. Velddrif also has an active Golf Club and host its own 9-hole golf course, Velddrif Yacht Club, Velddrif Bowling Club, to name a few. Change is as good as a holiday, they say. By buying a house in a holiday destination, you get the benefits of change ánd a holiday. This is exactly what living in Velddrif feels like - a holiday. Although the town is occupied by mostly permanent residents, there are many guesthouses, hotels and holiday houses to accommodate tourists. The tourist attractions are also enjoyed all year round, by both tourists visiting the West Coast and the people of Velddrif. Your favourite coffee in Bokkomlaan, catching a fish on the Bergriver, or eating a bokkom will form part of the West Coast lifestyle. Whether you are looking for a plot, holiday home or a permanent home, the choices are endless. Prices range from R130 000 for an open plot up to R9 950 000 for a luxury and perfect positioned home on the banks of the Berg River. The choice is yours. Admiral Island and Port Owen Estates, also trading as Sandveld Properties, have several properties for sale including vacant erven, plot-and-plan combinations, houses and apartments. View our listings for Velddrif. One of them will meet your requirements or else we will search the market to find your desired property. In case you want to sell your property, we will gladly assist you with it. Challenge us on our motto: "To give real service, you must add something which cannot be bought or measured with money, and that is sincerity and integrity".